We are so excited to start our Super Saturday Sales. This week I decided to put my 2 Storybook Creator template packs on sale. These are regularly $3.99, but are available today for $2. Images are linked. Scraps N' Pieces has put their Girls Can Camp Too and All Is Well kits on sale. You can get either of these kits TODAY for $3.00. Both regularly $5.99. 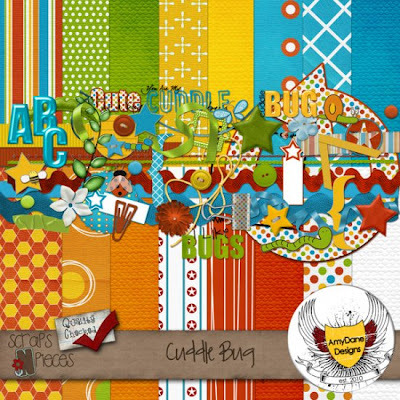 AmyDane Designs has put two great kits on sale today too. 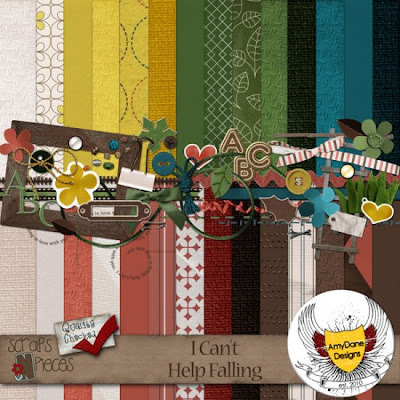 I Can't Help Falling is on sale today for $3, while Cuddle Bug is on sale for $2. What a great deal! !